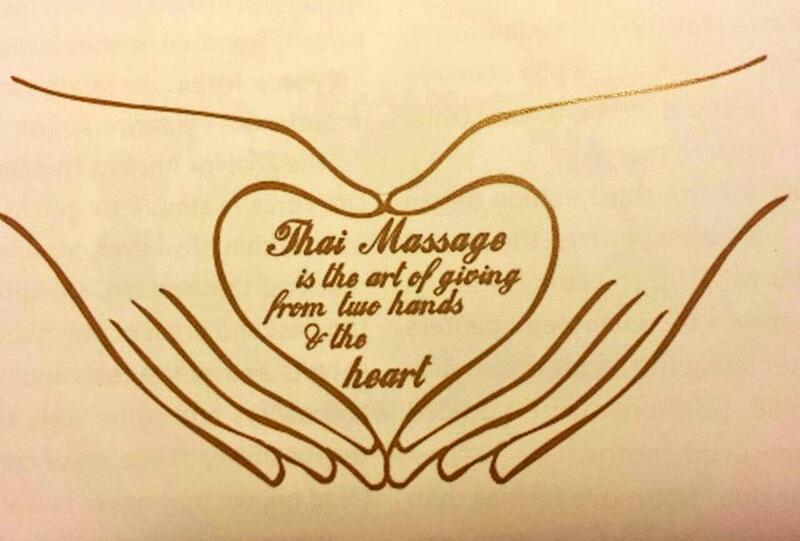 Traditional Thai Massage is an ancient healing technique that was founded in present-day India more than 2500 years ago. It is influenced by several Asian healing techniques and gained wide-spread popularity in Thailand where it is still used as a common preventative and complementary health modality. Unlike in other massage modalities, the client remains fully dressed, preferably in loose cotton clothing such as t-shirt and sweat pants. The client lies on a mat on the floor and relaxes while the therapist rocks, pulls and stretches the client's body and administers rhythmic compression to the muscles. Because the therapist guides the client's body through a series of stretches that are similar to the shapes of postures one would find oneself in a yoga session, Thai Massage is often referred to as "yoga for the lazy man/woman".